A simple yet elegant look for special occasions and portraits. 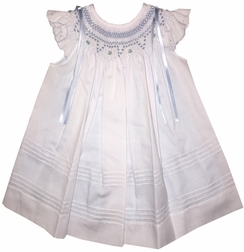 The dress is made of a light blue fabric and is topped with a white organza overlay. 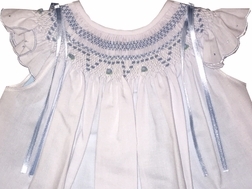 The neck is bishop smocked and the sleeves are "angel wing". 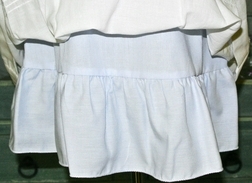 Blue sating ribbon accents the shoulders of the dress.